I've watched this couple from afar for several years, photographing them one other occasion. Mainly, I've followed their journey with Tom's fight with cancer. 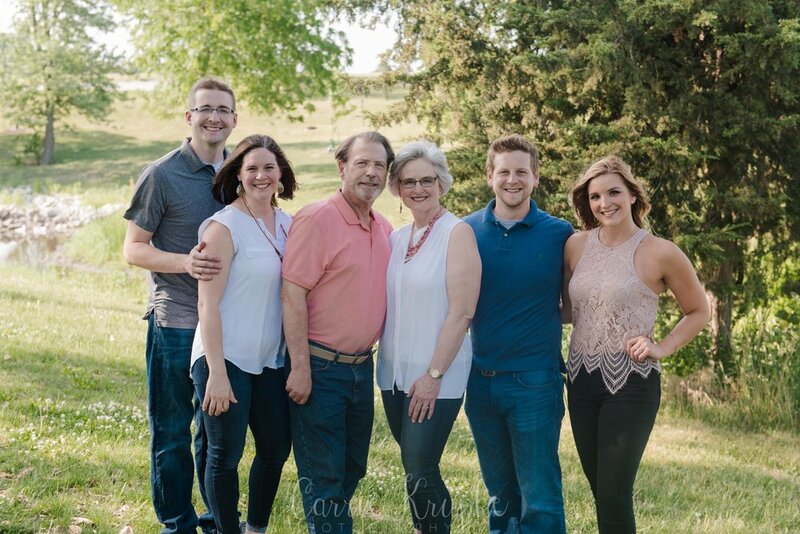 So, when Kelsey let me know it was their 40th anniversary and they'd like to celebrate with photos, I was honored to be with them holding a camera. Every year is an accomplishment, but to add a cancer fight to the mix makes every day a gift, and love dig deeper. We initially thought we'd be struggling to hash out the photos in the >90 degree heat, but the wind was actually our nemesis! The ladies really got the windswept look even as we tried for calms between gusts! We gathered everyone and the littles for the larger group shots in between feedings of the littlest (whom you've already met!). Kelsey, Greg and their three, in addition to Kelsey's brother, Kyle, and his lovely wife, Kelly. Like I said, super gusty strong winds! But it kept us decently cool amidst the humidity! 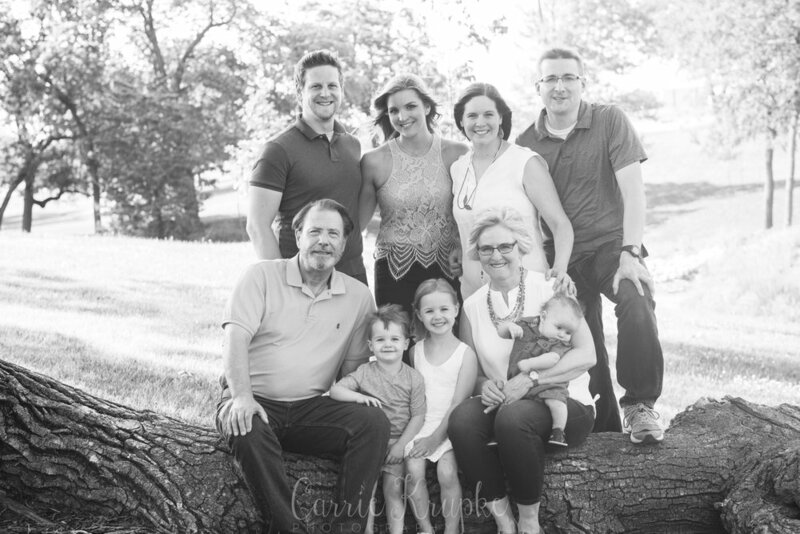 Paula + Tom: Thank you so much for having me out to document this stage of your family's life! 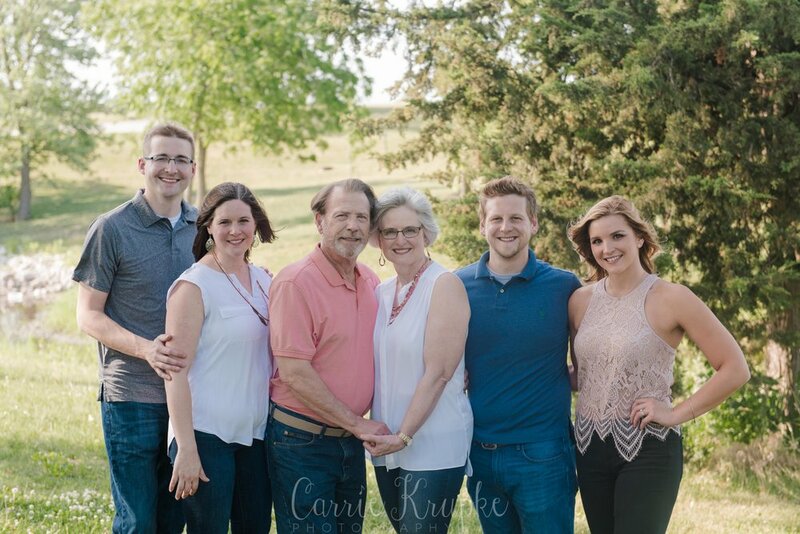 I'm thankful for your 40 years of marriage and your example to your children because it's made them pretty awesome to have as friends and fellow parents at this stage of OUR life. Your legacy is great and has impacted many!